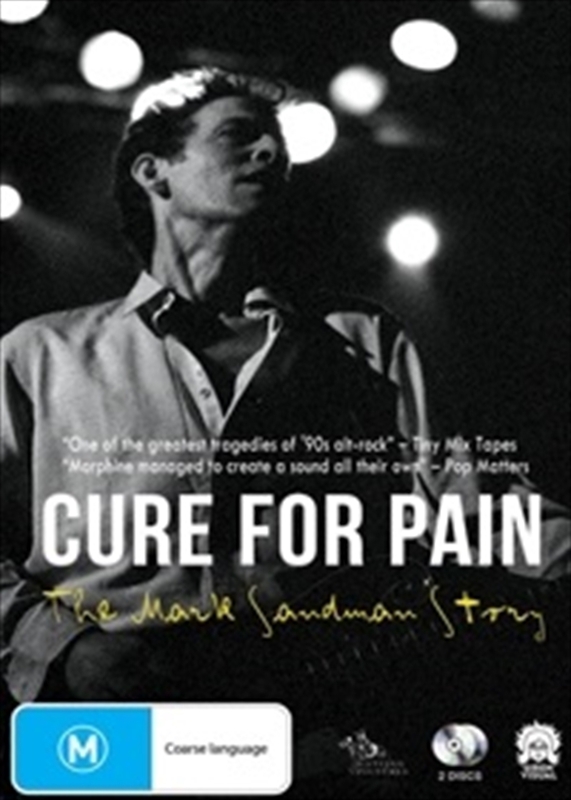 Cure for Pain explores in poignant detail the life and work of Mark Sandman, deceased frontman of the Boston "low rock" band Morphine. Sandman, whose hard-working band gathered a devoted international fan base, left an indelible imprint on the American music landscape of the 1990s. Apart from revisiting the "unique and sultry sound" of Sandman's music, the film digs deeper, and explores the meaning of family through his personal anguish at the loss of his two brothers. The pursuit of Sandman's turbulent story has led filmmakers Robert G. Bralver, Jeff Broadway and David Ferino to New York, Boston, San Francisco, Los Angeles, London and Rome. Among those appearing in the film are members of the Sandman family, Seth Mnookin (Vanity Fair), Nic Harcourt (Los Angeles Times, KCRW), Steve LaBate (Paste), Ben Harper, John Medeski, Les Claypool (Primus), Mike Watt (Minutemen, The Stooges), Josh Homme (Queens of the Stone Age) and members of Morphine: Dana Colley, Billy Conway and Jerome Deupree.